1. Click the "Meetings" tab in the left-side Navigation Bar. 2. Click "Connect" under Office 365 Calendar. 3. 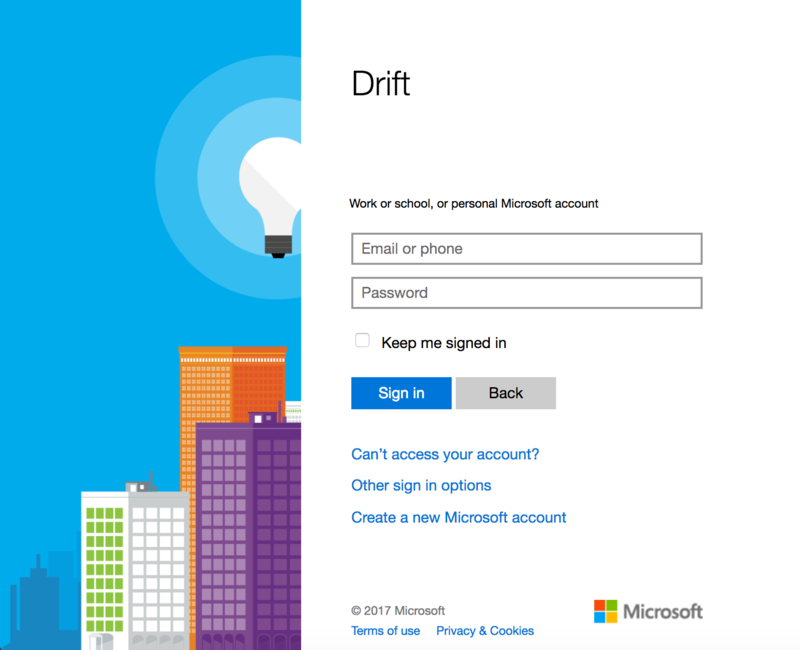 You'll be taken to a Microsoft landing page where you'll need to enter in your login credentials. 4. Click "Sign in" and you'll be good to go! 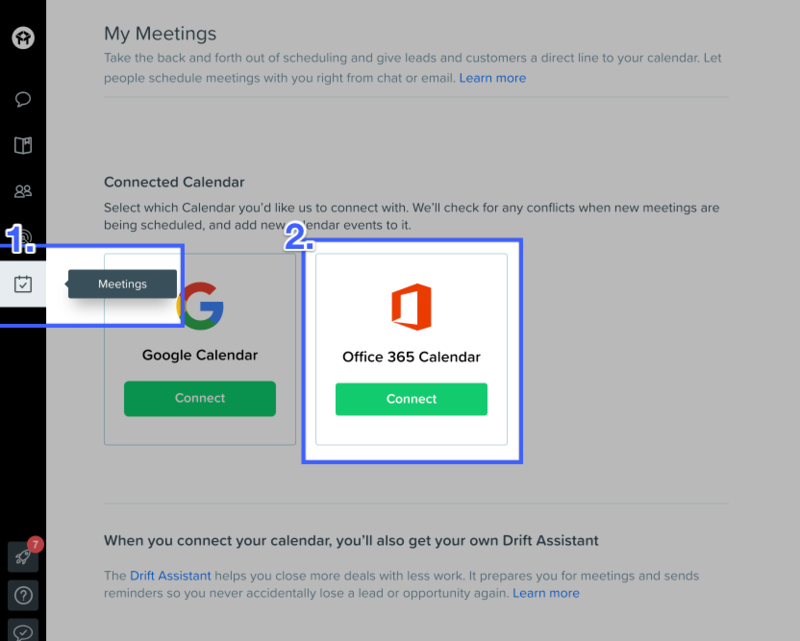 Remember, when you set up your calendar with Drift, site visitors have the option to schedule meetings with you directly from chat!